THE wail of air-raid sirens over Penge, South-East London on Sunday 3rd September 1939 dramatically changed the life of eight-year-old Kathie Smith. She had lived as a shy, only child, with her partially-sighted Mum and elderly Dad, a retired merchant seaman and widower. Kath was born when her mother was 45 and Dad 66! The Government’s evacuation scheme for London children found Kath and her school friend Pamela Houghton (later married to Robert Gomm of Chesham) happily relocated to the beautiful country home of Sir Cyril Reginald Sutton Kirkpatrick in Little Chalfont. He was Chief Engineer for the Port of London Authority and responsible for the erection of many famous bridges, including the King Edward Vll bridge over the Tyne. The gardens and barns surrounding the rambling old house were a haven of delight for two small children from South London. An orchard, knee-deep in daffodils in spring, abounded in apples. “We could eat any windfalls but sometimes couldn’t resist ’heading’ a few perfect specimens” Kath recalls. Roses of every hue offered hips and haws for harvesting – officially to be taken to Chenies School to be made up into nutritious syrup for babies, but a more exciting use was found to be itching powder to put into Lady K’s hairbrushes. (The seeds inside the hips are covered in tiny burrs). Frau Mueller and Frau Claussen, cook and parlour-maid respectively, (Jewish refugees from Germany) were particularly kind to Kath and Pam, providing tasty soups on cold winter days on returning from school in their large cosy kitchen. When Kath missed the school pantomime at Christmas through contracting chickenpox, she was treated “like a little princess” when confined to bed. In TV-less evenings Lady Pauline Kirkpatrick would gather them round the white grand piano in the drawing room, and teach them to appreciate French songs and carols. All this because Pam’s granddad once worked with Sir Cyril at the London Docks, and her gran had been housekeeper for them pre-war. Little wonder that when Kath’s Dad arrived in the Spring of 1940 to take her home to Penge, because there was no bombing and her Mum missed her, she wept all the way back to London. September 1940 saw the start of the blitz, and Kath’s father, who had just opened a sweetshop in Maple Road, Penge, sold up and decided to take his family to safety. ‘Loudhams’ was unable to accommodate them, having taken in other evacuees, so the 709 Green Line bus dropped them, with a couple of suitcases and Gyp their dog in Chesham Broadway. An elderly man, leaning on the railings on ‘The Plough’ public house at the bottom of Whitehill took them under his wing. “My wife goes to Newtown Chapel. Come home with me for some soup. She’ll know someone who can take you in”. That someone was Miss Maud Ebbs, who had a semi-detached house in Gladstone Road. She kindly allocated them a bedroom, but poor Gyp had to be put down. With more attacks on London, the house soon became overcrowded, and Kath and her family were taken in by Mr & Mrs Scott of Vale Road. They had a young son Alan, who was a keen stamp-collector, and a younger daughter, Marie, who was good company for Kath. There was also another boy evacuee name Terry Fitzgerald. All managed to live amicably in a small three-bedroomed semi. Sweet violets then grew along the roadside down the Vale which Kath and her school friend Margaret Palmer (now Barnard) made into bunches to give to their landladies. Eventually the Smith’s were offered two rooms in a house belonging to Bill Palmer, a dairy farmer from The Vale, and uncle to Deirdre Lacey (now Britten) one of Kath’s school friends. Bill’s elderly Aunt Bella occupied the front room of 172 Broad Street, and Kath enjoyed reading Enid Blyton’s ‘The Wishing Chair’ by candlelight to the old lady each evening beside the fire. During this period, Kath’s aged father (then 78) obtained work as a night-watchman at the Empire Works at the top of Station Road. This was originally the Empire Theatre but was converted to making small aeroplane parts for the war effort. This meant that Kath no longer had to sleep on a mattress on the floor, except at weekends. Then she often slept at the Manse in Bellingdon Road, the home of her friend Sylvia Gladstone, daughter of the Newtown Baptist Church minister. “I was always made to feel one of the family”, she recalls with gratitude. Being a choir member there from the age of eleven, Kath and her family were invited to move into a two-up, two-down cottage in Cromwell Terrace, Townsend Road, (now the site of Cromwell House). Here they cared for 85-year-old Walter Dwight, and after his death, rented the cottage. Townsend Road schooldays were very happy ones for Kath, where she recalls May Day celebrations, with May Queen Iris Canning whose crowning glory was long dark ringlets, whilst blonde and curly Deirdre Lacey was chief attendant. “I really appreciated the fact that although I could never have a birthday party because of my home circumstances, my many school chums – Eileen Lawrence, Margaret Brown, Gracie Dickinson, Janet Pruden, Pam Dwight, Rita Holloway and Deirdre Lacey always invited me to theirs, without thought of return. 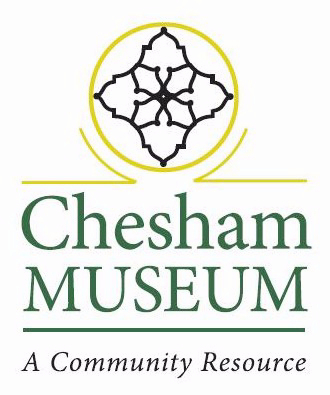 Such was the generosity and acceptance of Chesham people”. Although she passed the scholarship examination, due to her circumstances she was unable to take up the opportunity of education at Dr.Challoner’s Grammar School, where most of her friends went. Instead she attended Whitehill Senior Girls’ School, under the headship of the human dynamo and Methodist Lay preacher, Miss Florence Dyer. Kath was encouraged in her writing by another evacuee, a young teacher, fresh out of Training College, Miss T.M. Shaddock, who now lives in retirement at Great Missenden, and is still a valued friend. At the age of 14 Kath left school and was employed as a junior clerk at the Children’s Special Service Mission (C.S.S.M.) & Scripture Union which had moved from London to ‘Emberton’, Stanley Avenue for the duration. Evening classes at Germain Street school for shorthand-typing and book-keeping landed her a job with George Williams & Co. Ltd, the Juvenile Clothing Manufacturer in Asheridge Bottom. In the modern factory (1946) she trained as secretary to the manager, Mr Ernest Wallin, did the wages, with bonus system, for the 90+ employees, dealt with reps, invoicing and switchboard duties and must have been one of the original DJs organising ‘Music While You Work’ sessions, which encouraged productivity. Hours were 8.30-6.00 p.m. plus Saturday morning, all for the princely sum of £2.00 per week, plus one week’s holiday in July. Two years later, Kath was allowed a ‘junior’ to assist her and Margaret Herrington cycled in from Latimer Village each day to share the suite of offices located at the front of the building. Kath’s wages then went up to £3.00 per week. The factory supplied high quality clothing to such firms as Harrods, Daniel Neal, John Lewis and Barkers of Kensington, and was known as ‘The Factory in the Garden’. Aptly-named gardener Mr Sidney Budd grew vegetables in the surrounding landscaped area to serve the workers’ canteen, which was presided over by Miss Olive Appleby, Mrs. Kitty Payne, and Mrs. Budd. In 1951 the company sold out to Van Houten, the chocolate firm, and Kath found herself a post as Secretary/Cashier to Norman Jenns, entrepreneur businessman of Hill Avenue, Amersham, specialising in furniture stores in Amersham, Gerrards Cross and Marlow. The next step in her career was in the Public Health Department of Amersham Rural District Council, where she was secretary to the Chief Public Health Inspector Fred Caudery and assisted the Medical Officer of Health, Dr.T.Evans. Here she spent nearly five happy years until, in obedience to God’s calling, she entered the International Training College of The Salvation Army at Denmark Hill in August 1957, receiving her commission as a Lieutenant in May 1959. Attracted initially by the music of a small Salvation Army band, conducting an open-air service on the corner of Eskdale Avenue one Sunday afternoon in May 1945, Kath went along to their meetings and was ‘hooked’. She pays tribute to the excellent foundation to her faith given at Newtown Baptist (now Evangelical) church, where she had attended since the age of 9. But this was a call which could not be denied, and resulted in more than 50 years full-time service as an officer (ordained minister) of The Salvation Army. William Booth, a former Methodist minister, was The Army’s founder in 1865, when he formed ‘The Christian Mission’ in response to the poverty, squalor and sin evident in London’s Whitechapel. When the movement spread like wildfire throughout the land, it was renamed ‘The Salvation Army’ and now operates in more than 111 countries worldwide. The Army Citadel in Broad Street was erected in 1898 but its first meetings were held in a tent in Nashleigh Hill recreation ground, before moving to premises in Gladstone Road. General Booth visited Chesham on 16th July 1908 where a platform had been erected in The Broadway for his oration. Due to inclement weather, Broadway Baptist Church was used instead. The Salvation Army’s maxim can be summed up ‘Heart to God, Hand to man’ and after the government is one of the largest and most diverse providers of social services in the world. More than 1.6 million members worldwide maintain its programmes for the homeless, drug rehabilitation, family tracing service, schools, hospitals, eventide homes, shelter for battered wives, probation and prison visitors. Recently, chaplains have been introduced for retail outlets, etc. In its 16,000 churches and community centres, dedicated bandsmen and songsters provide weekly musical ministry, visiting elderly and infirm in homes and hospitals. Uniforms are not provided (contrary to popular belief) but have to be purchased, along with instruments and equipment required by individual members. Free tuition is given to children from the age of eight desirous to learn to play or sing. This is regarded as part of their ongoing ministry for the Lord. Each year, Salvation Army sections are invited to conduct the Carol Service for the MPs at Westminster. During the two World Wars, Salvation Army Red Shield Mobile Canteens were at the forefront of operations – at Dunkirk, the North Africa campaign, D-Day etc. 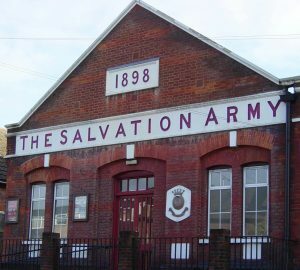 Winston Churchill remarked ‘Where there’s need, there’s The Salvation Army.’ More recently, The Army has been in operation during the Falklands conflict, the Gulf War and in Iraq. Salvation Army officers assisted with rescue work and counselling at the Aberfan tragedy, Lockerbie and the Piper Alpha oil-rig disaster in Scotland. During the 7/7 London terrorist attack of 2005, SA officers were assisting the emergency services, and are ‘on call’ constantly to attend where needed – floods, fires, earthquakes and tsunami’s. More information about SA work can be found on the website. Kath Dolling’s covenant, signed at her commissioning on the platform of The Royal Albert Hall in 1958, when she was appointed as Sergeant to help train another session of cadets, took her to a variety of locations. King’s Cross; Chelsea; Kirkburton, West Yorks. All brought her many adventures, prior to her marriage to Lieutenant Derek A. Dolling in Chesham, in May 1962. Further appointments for Kath and Derek were Notting Hill, Newport (Mon), Blackheath (Birmingham), Southall, Enfield and then back to Chesham for five years to care for Kath’s elderly and almost-blind Mum. Following Mrs Smith’s ‘Promotion to Glory’ in January 1982, the Dollings became Administrative Officers to The Republic or Ireland, finding great opportunities for service in Dublin, running a large Men’s Hostel, finding missing persons, and promoting SA work throughout The Republic. In June 1987 they were appointed to inner city Manchester, and then to Public Relations work in Aberdeen. Derek became Assistant Head of Fund Raising at International Headquarters, Queen Victoria Street in 1991, and Kath took up duties in the Editorial Dept as a ‘Roving Reporter’, with a weekly ‘War Cry’ Katie’s Column. Among celebrities interviewed were Tony Blair, Henry Cooper, Richard Whiteley, Fiona Castle, Wendy Craig, and Thora Hird. Kath officially entered retirement as an ‘active officer’ in February 2001 but over sighted the Chesham Corps, which was without leadership, until a new officer, Major Fred Thompson, was appointed in August 2006. Her interests now include heading up a weekly ‘Lunchbreakers’ fellowship for women on Wednesday mornings, where a welcome cuppa and varied programme of events and speakers is offered to approx. 45 ladies. Music figures largely in her life, playing the piano, and entertaining at residential homes throughout Southern England. Her small book of bedtime reading ‘Diamonds & Driftwood’ profits Duncan Dyason’s charity STREETKIDS DIRECT.